Visit any of the 158 Grocery Outlet stores in the West and you will find a wine department with bargains galore. Instead of the usual standard wine fare at stores like Safeway and Lucky markets, you will find a mishmash of labels all heavily discounted in the range of 40 to 60%. If you buy a wine that looks promising at a great price and come back a week later to buy more, you are likely to find none left on the shelves. Good wines move quickly at the Grocery Outlet, never to be seen again. 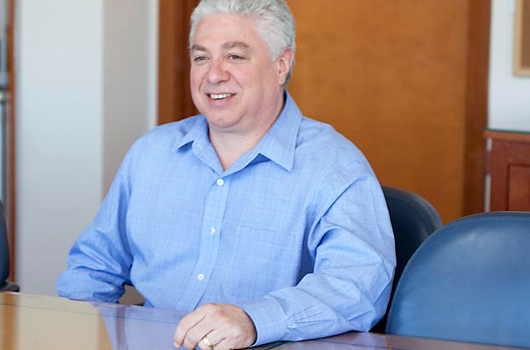 I sat down last week with Andy Lee, the wine buyer for the Grocery Outlet stores. I asked him how the Outlet finds wine to sell at these incredible bargain prices. Here is a possible scenario of how the Grocery Outlet purchases wine. A winery is ready to release the 2010 vintage of its $20 Chardonnay, but in the warehouse there are 1000 cases left of the 2009 vintage. They need to move this wine quickly so the winery calls the Grocery Outlet. Andy Lee, along with a couple of colleagues, tastes the wine and decides if the wine is acceptable. Andy then makes an offer based on the quality of the wine and its original retail price. The Outlet must be able to put this wine on the shelf for their clientele at the 40 to 60% discount. If the winery accepts, the Grocery Outlet then offers the wine to its 158 stores, which are individually owned, and the wine now sells to the consumer for $8 a bottle. Most of the wines purchased by the Grocery Outlet only last six weeks or less on the shelves. The Grocery Outlet comes to the rescue for wineries in situations like the scenario above, plus in instances when the winery is changing labels, has new owners, or has declared bankruptcy. Recently the Grocery Outlet purchased the entire inventory of MyWinesDirect.com, a flash-wine sale website that went belly up. 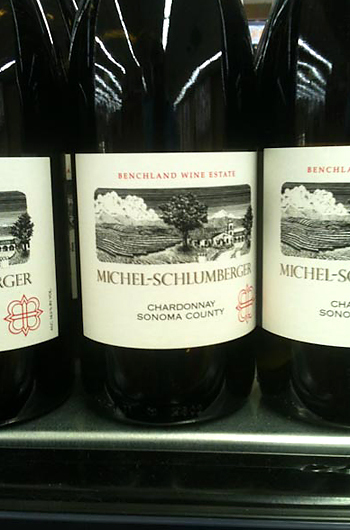 In November the well-respected Michel-Schlumberger Winery in the Dry Creek Valley of Sonoma County was sold. The new owner wanted a fresh start with a new label design and a new winemaker. The Grocery Outlet bought most of the inventory and is selling the Michel-Schlumberger wines at rock bottom prices. I tried the Chardonnay for $4.99 and the Red Wine Blend for $5.99. Both tasted delicious and more like wines in the $20 range. News travels fast among those who treasure hunt for wine at the Grocery Outlet. If you live near one of their stores, a good strategy is to visit the wine department once a week. Many Grocery Outlet treasure hunters have been known to purchase one bottle of the wine and take it to the car and give it a taste test. If they think it is case worthy, they are instantly back in the store to make a big purchase. In the case of treasure hunting at the Grocery Outlet, the phrase “You snooze, you lose” could not be more appropriate. In the greater San Francisco Bay Area there are many Grocery Outlet stores. Just go to the Grocery Outlet Website and plug in your Zip Code to find the stores nearest you. I am hoping that we can find a reader or two of GoodCheapVino who are frequent shoppers at the Grocery Outlet. Perhaps when they find a deal, they can give us a holler so we can post it for all to see. jesus h. christo. we went to this place today and it was outstanding. the bargains were crazy deep. does this happen often? the one in oakland is wide open with wines, and the clientele doesn’t seem to care too much for wine, which is perfect. it’s like 2 blocks from whole foods. i have a question about the 2009 Deep Sea Chard. It’s not even listed on Deep Sea’s site, but Grocery Outlet has a lot of it. Can’t even get any notes on it. Can this be explained? Bought a couple of bottles of the Deep Sea Chard, had to go back for more, as in a couple of cases. Too good of a bargin to pass up. Then I was down in the OC and went to a premium liquor super store called “HI-Times” in Costa Mesa. I was in the cellar where the better wines are and the Deep Sea Chard caught my eye. The price was the same as the winery on line. At the GrocOut, it was a 7th of the price I saw at Hi Times and on line. Well worth it. Amazing wines at amazing prices. Thanks for the tip on the Chardonnay. I’m heading to the Grocery Outlet in Redwood City later this week and I will look for the Deep Sea. Too bad GO does not put out more info on wines in the supply line. Andy Lee says that some stores have an email newsletter that customers can sign up for. That should help some getting advanced info on sale wines. where can I get some Camata Creek, cabernet savinguon? I cannot find the SalmonCreek Vintners of California Central Coast online. I cannot help with this but maybe some of our readers can. Salmon Creek is a Bronco wine and formerly only in restaurants, Calmata Creek shows up at Grocery Outlet , I think S.J. has some cab now. Google Classic Wines of California to see the Bronco holdings. Good information, especially the Bronco search. Found this place 2 years ago. Have NOT bought wine anywhere else since! Please note: There are many “not very good” wines available at G.O. also, so try not to grab any old thing because of price alone. Concurrently, I found that their little thumbs up signs on a number of their wines are NOT a reliable source of “what to buy”. Be careful, and you will get great wines at a great price!! !